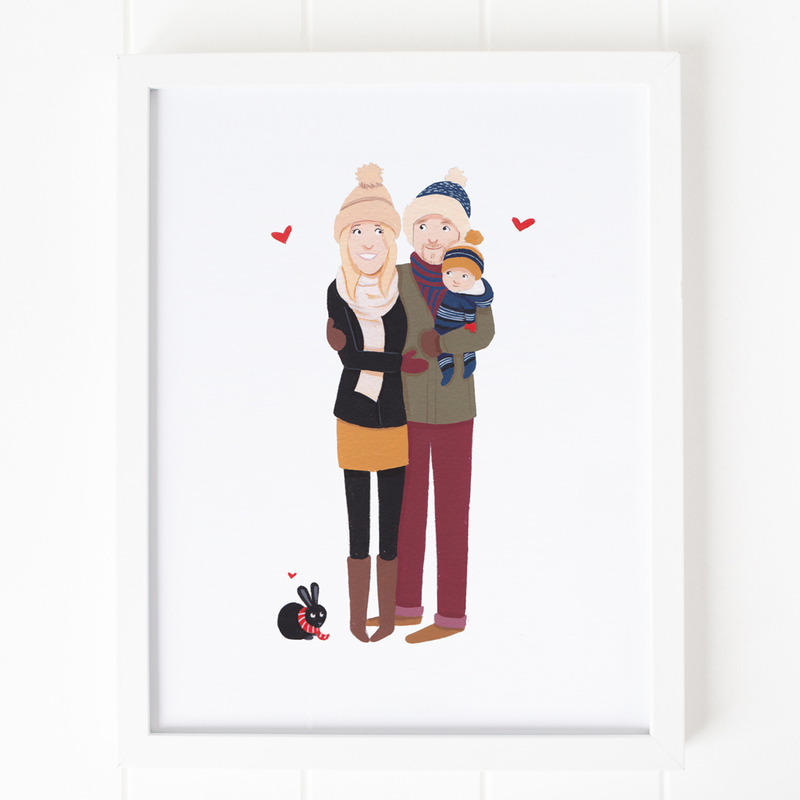 This illustrated family portrait is a lovely way to represent your family. 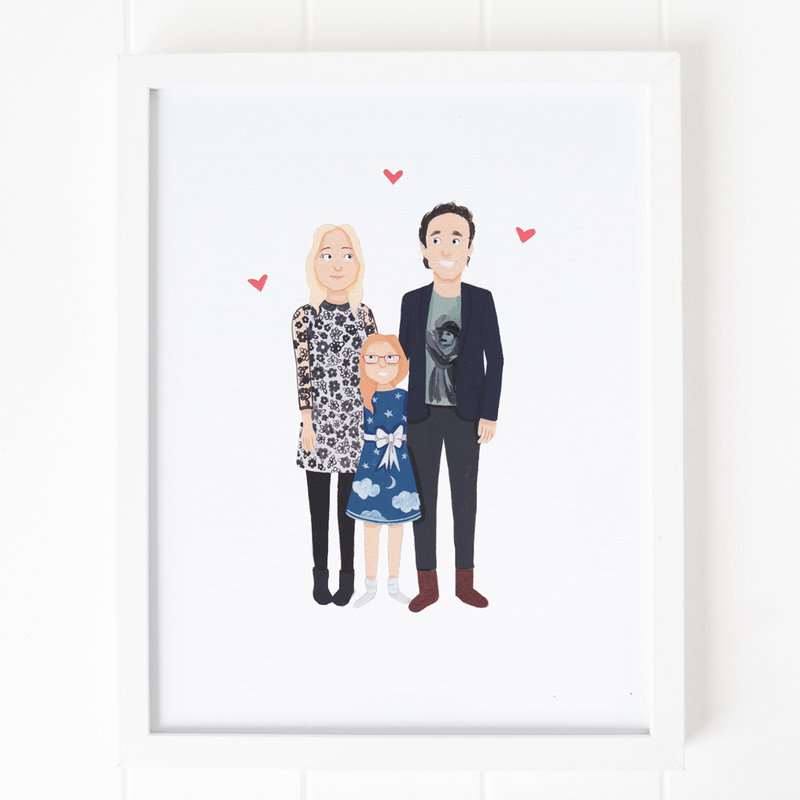 Each family member is hand-painted making it completely original and an extra special gift or treat to yourself. 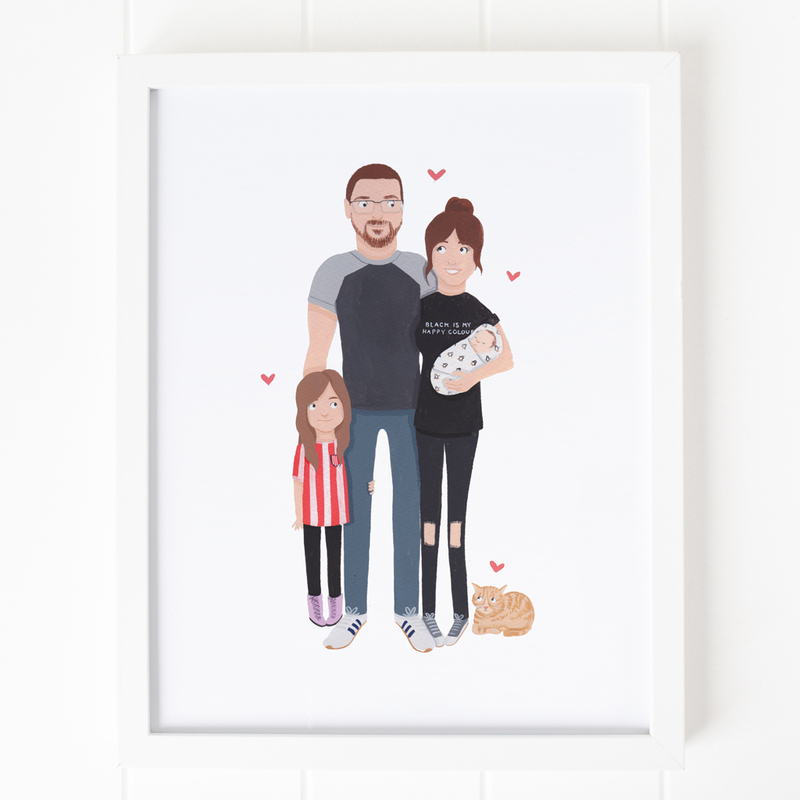 It's a lovely addition to any home and makes a great new home gift, special birthday present, fun hen or stag do keepsake or celebration of a new baby. Stuck for a Father's Day present? 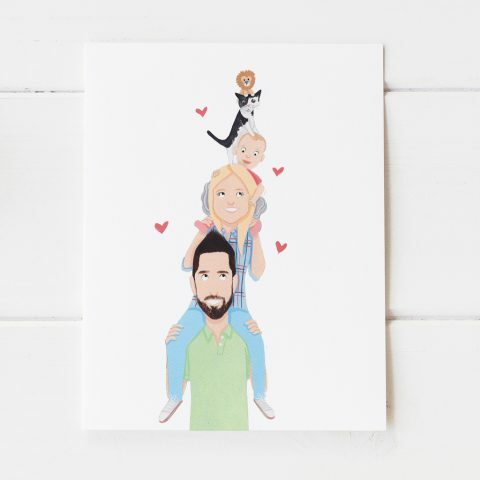 This special artwork is sure to bring a smile to your Dad's face. 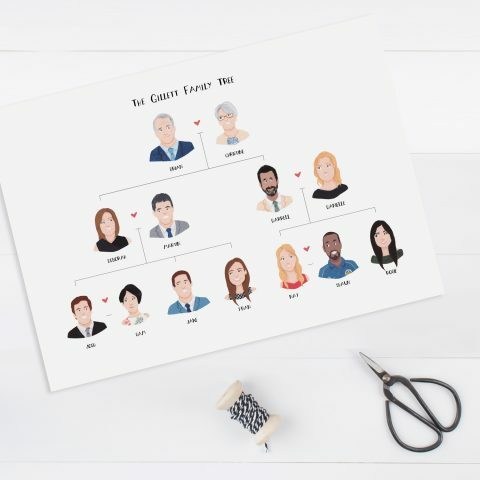 Hand-painted family portrait of up to 10 family members with optional message. For family portraits of more than 10 people please get in touch to check availability and for a personalised quote. Please place your order by adding to cart and going through checkout. 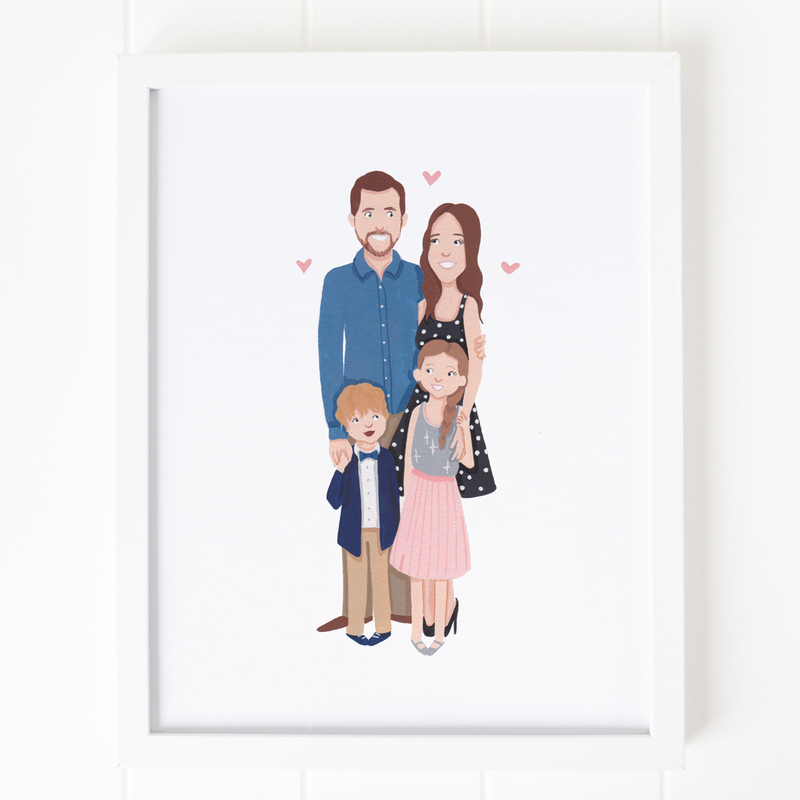 Within 48 hours of receipt of your order I will send you an email requesting reference photos of each family member, information about the theme of the portrait and if you would like to include a message on the artwork. On receipt of this information I will work on a sketch for you to review. Once your sketch is approved I will paint up your portrait. Once I have finished painting up I will drop you a line to let you know it is in the post. 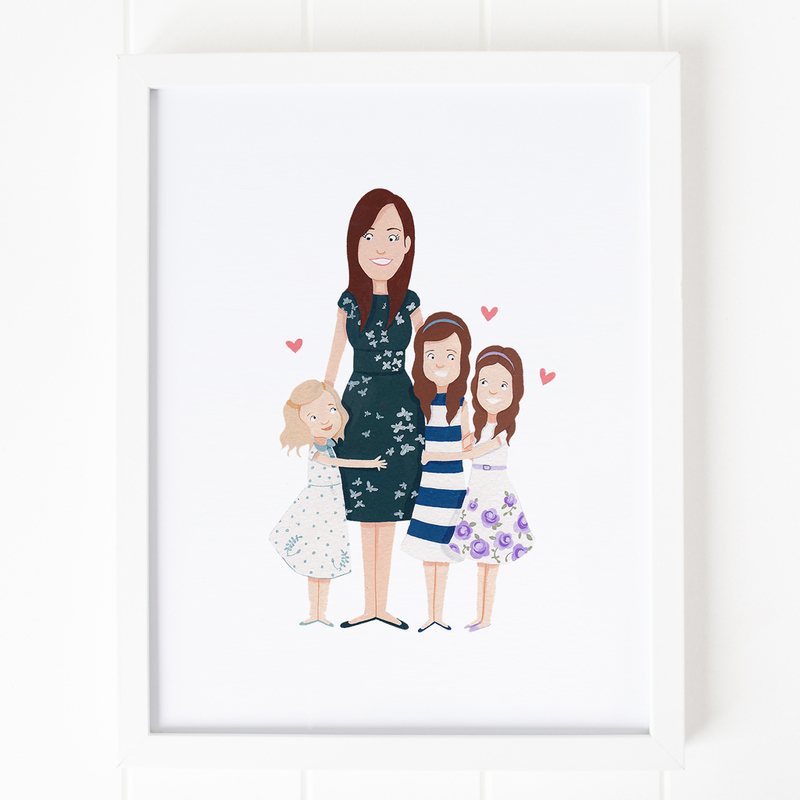 Please note turnaround time for personalised orders is a minimum of 3-4 weeks. Sometimes urgent orders can be accommodated. Please get in touch to check availability. Painted using Windsor and Newton Gouache on beautiful Bockingford Watercolour paper. Supplied with backing board in cello sleeve or white frame. 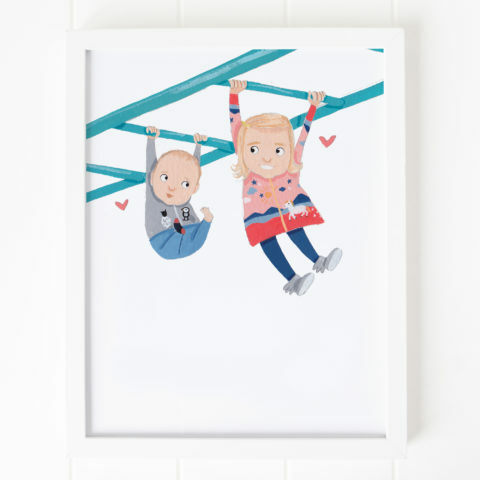 Frames are white and made from FSC approved wood.